The sun is shining in Colorado, oh happy day! After a week under the rain and snow (yes snow on mother's day) I was needing some bright sunshine in my life, it does wonders to lift the spirits! This is the kind of project you can do in a few hours. I love how easy it is, but especially how useful it can be. Not only that, it is super inexpensive! With a 1x2 furring strip (which is approx $1.23 at Home depot), and free 5 gallon paint sticks (ask for them at the paint counter at any hardware store) you are spending less than $2, and you could make up to 5 magazine racks out of 1 furring strip! 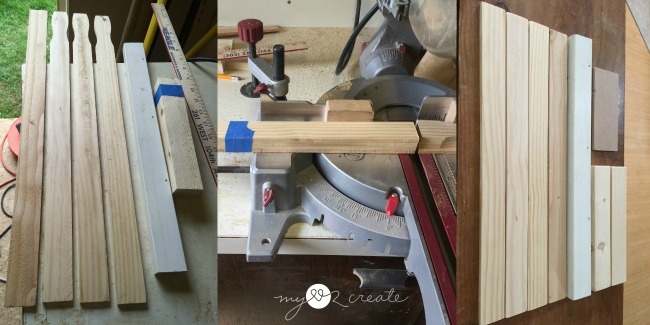 If paint sticks are not available you can use lathe boards which are also super cheap. 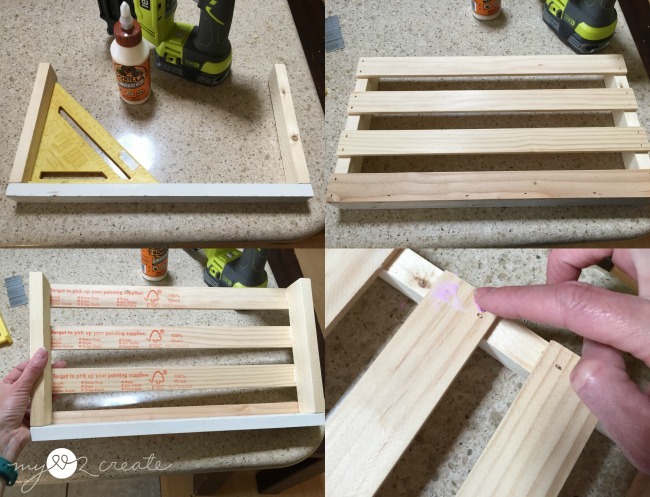 You may remember my DIY Magazine Rack that I made for my Master bathroom. It has been awesome. I was looking at it the other day and realized that it would be perfect for piano books, so I promptly got to work with the scraps that I had in my shed and made another one, with a slightly different design. I had some scrap 1x2's and 3 five gallon paint sticks, and one piece of lathe (far left). I bundled the paint stick and lathe with painter's tape and cut them to 16 inches. My long 1x2 was also cut to 16" and the two smaller 1x2's were cut at 8''. The little scrap board was cut from 1/4'' thick scrap chipboard and it was cut to 5 1/2'' x 2 1/2". I started by attaching my 1x2's together from the bottom with Gorilla wood glue and 1 1/2'' finish nails. Then I simply glued my slats on top and nailed them in with 5/8'' finish nails. Simple! 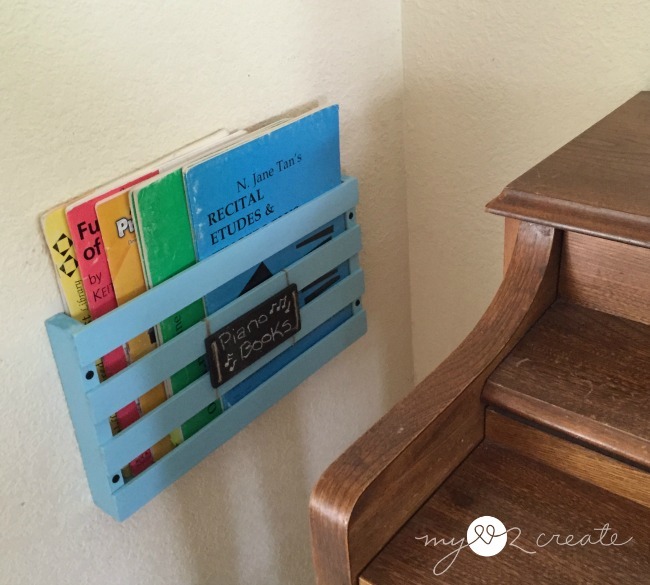 I also wanted to include another fun way to attach your slats...like I did on my other DIY Magazine Rack. I like to use a square when I am nailing my 1x2's to help keep things...well, square! I also filled the nail holes with spackle. 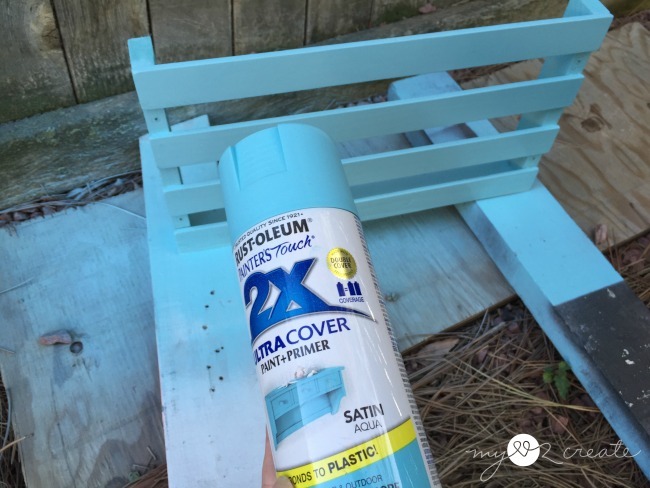 I had a little bit of spray paint left over from my Pallet Top Table, so I used it up on this project. 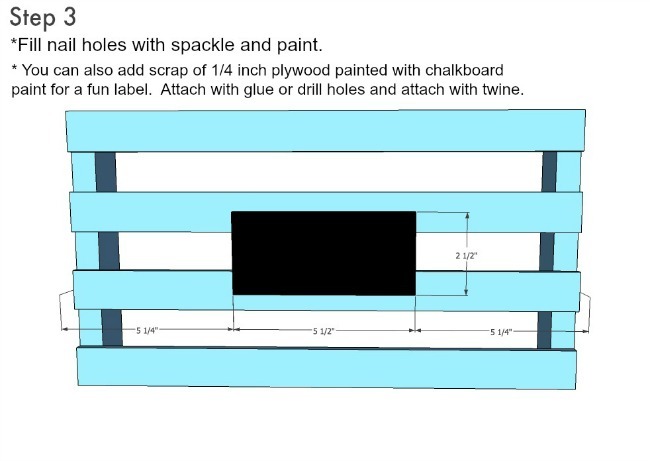 Don't forget to pre drill holes for attaching the magazine rack to the wall. 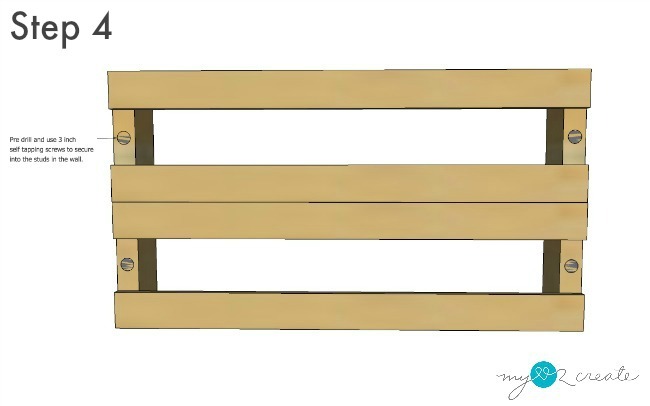 Although this may not be necessary if you are using self tapping screws, but very necessary for regular wood screws, you don't want to split your wood! 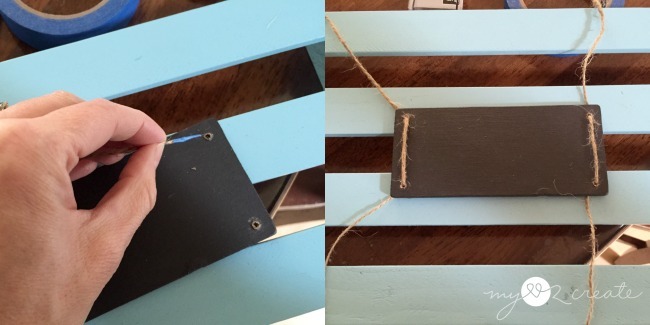 After I painted my scrap piece of chip board with three coats of chalkboard paint I drilled holes in the corners for threading the twine. To make it thread easier I added a small amount of painter's tape to the end. Then I wrapped the twine around the middle slats and tied it in the back. I did secure the twine in the back with painters tape to keep it from sliding. 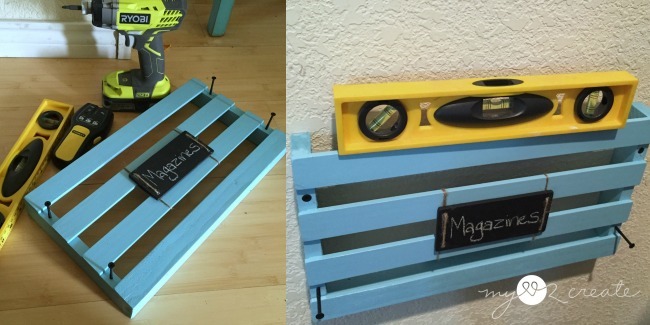 You could simple glue the chalkboard onto the magazine rack if you prefer, wood glue or hot glue would work great. Using my stud finder I marked where the studs were on the wall. 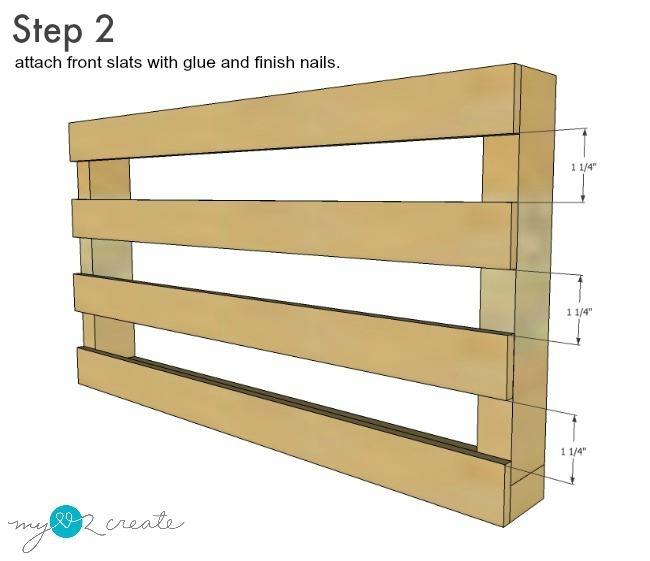 I purposely made my magazine rack 16 inches apart to line up with the studs, you could make it any size you want, if you don't have studs to nail into, use wall anchors. Then, I started my 3 inch self tapping drywall screws into to my rack to make it easier when I got it on the wall. Once lined up on the wall I screwed them all the way into the studs, making sure to keep it level. Here is a shot before I attached it to the wall, to show how great it is for magazines. It can hold quite a bit. So what would you use these plans for...magazines or piano books...or something else entirely? Thanks so much for reading! 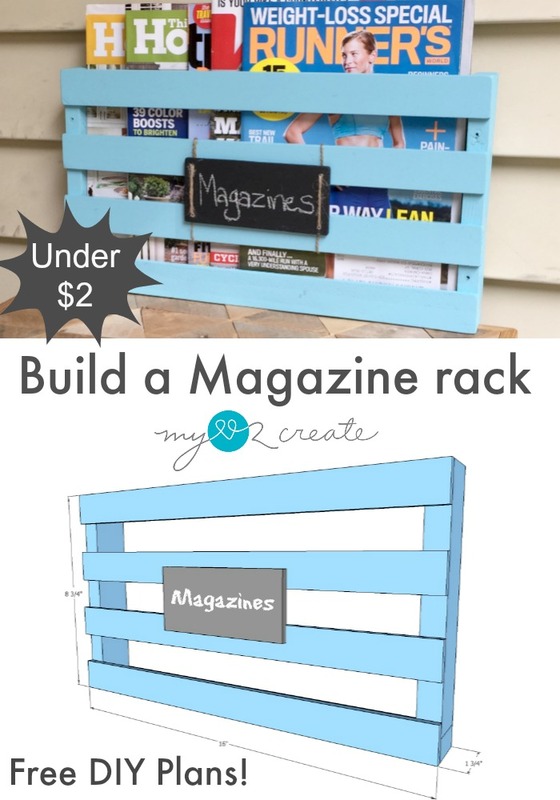 Click here for Magazine Rack Free Plans! Nice job....and you made it look so easy. THanks for sharing. Wow! I love this idea! I'm always looking for somewhere to put our magazines. I'll have to make one of these! Beautiful! That ultra cover spray paint works really well huh?! I've got some and it just goes on so nicely. Oh just fyi, if you desire to do so, you can change your favicon (the little icon that shows up on the top of the web tab) to your blog logo. :) You go to layout in Blogger and there should be a "favicon" box on the top left... you can click it and upload your favicon. Otherwise it shows the Blogger logo... which is fine if that's what you want up there, but I figured I'd mention this because it took me a while to figure out I could change that! Thank you so much for sharing this with Awesome Things Tuesday last week! Come party with us again, we'd love to have you! Great tutorial! Really a handy idea!! Thanks for sharing it with SYC. 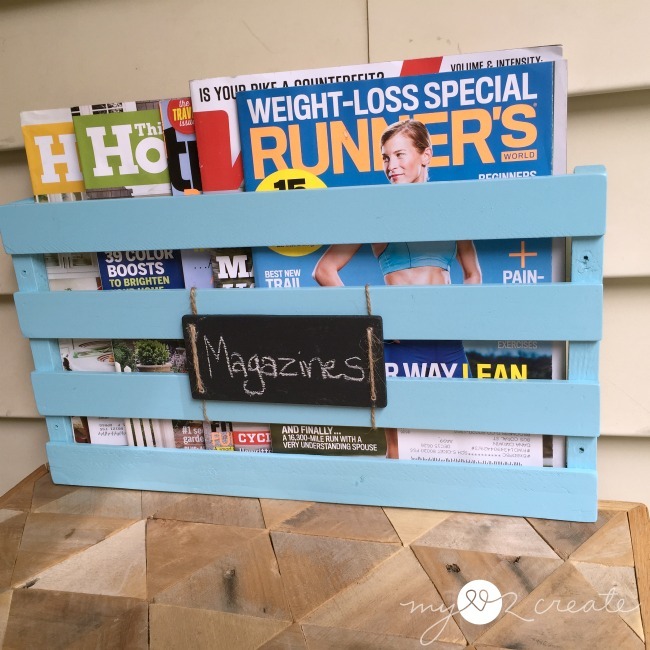 Hi Mindi, I'm just popping by to let you know that your Magazine rack will be Featured tomorrow night at our What to do Weekends Party! Thanks so much for sharing this great idea with us! Mindi, this is so cute and I live that spray paint color! It would be perfect for my guest room. Thanks so much for sharing this great tutorial with me for Something to Talk About! 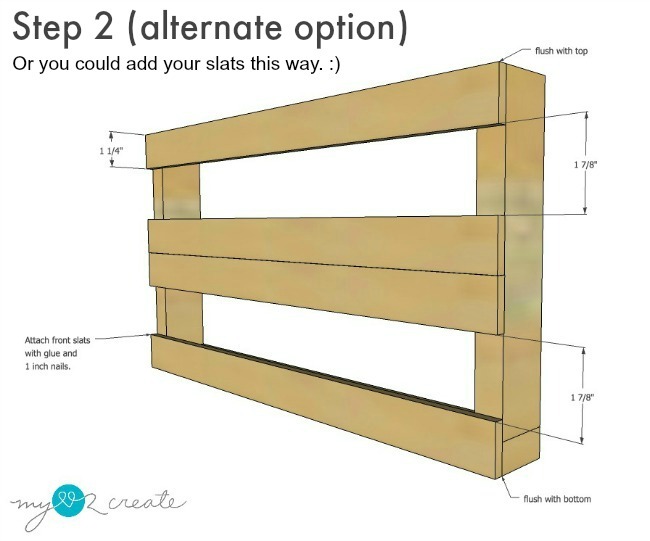 This is darling Mindi.. and can I say how in AWE I am of your sketchup skills! <3 Thanks for linking up! 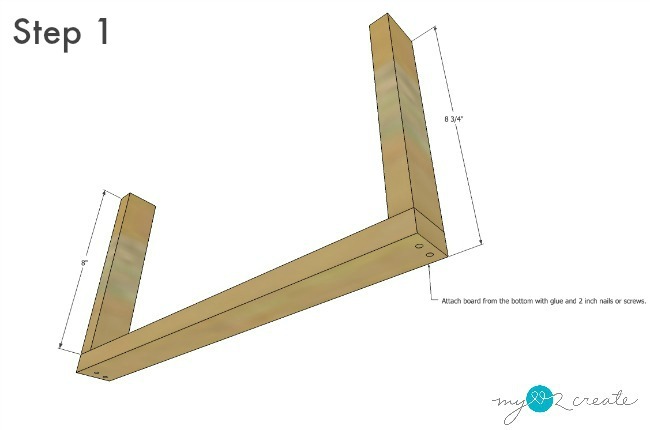 Great post and its give us wonderful information how to maintain my magazine rack and how maintain my book step by step in the rack thanks for sharing paraphrase tool . It has been awesome. 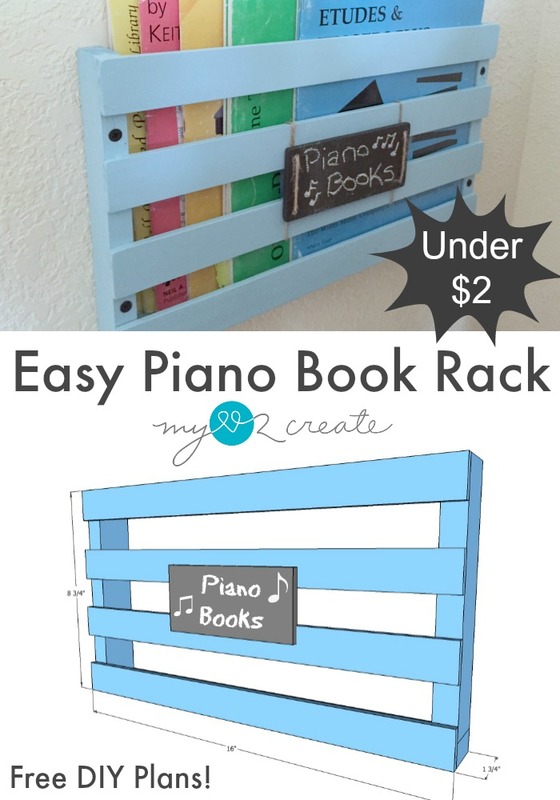 I was looking at it the other day and realized that it would be perfect for piano books, so I promptly got to work with the scraps that I had in my shed and made another one, with a slightly different design.